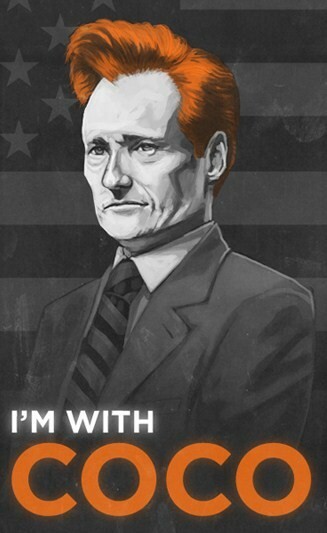 The official logo of Conan O’Brien’s upcoming Legally Prohibited from Being Funny On Television tour is based on the now-familiar illustration of a stoic O’Brien standing against the American flag, gray but for the bold orange pompadour rising from his head like a mighty wave rising from the ocean. It may be the icon of Team CoCo, but it didn’t come from Team CoCo: the graphic was created by Mike Mitchell, an enthusiastic artist who had nothing to do with O’Brien other than being an avid fan with an idea and some spare time. Largely on the back of the massive outpouring of support he enjoyed in the final weeks of his Tonight Show run, O’Brien stands to make a lot of money wherever he lands this fall. O’Brien will be rewarded for embracing that organic excitement. 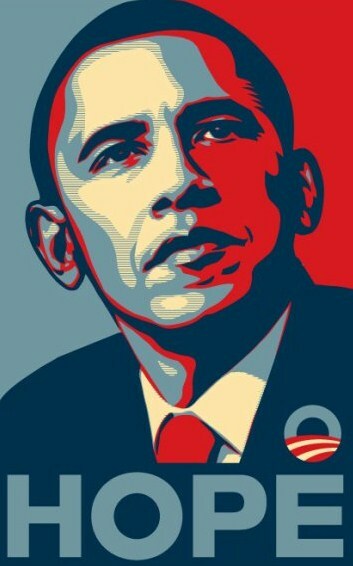 It’s similar to the smart moves made by the 2008 Obama Campaign, which enjoyed the creation of a similar iconic image created by Shepherd Fairey – an enthusiastic artist who had nothing to do with the campaign, but had an idea and some spare time. A technical term for this is “advocate-generated content.” Even that mouthful is easier said than done. You can’t force people to identify with a cause, let alone feel so strongly about it that they are willing to make art. Both Team CoCo and Obama 2008 benefited from a simple, direct, and resonant message. The fancy artwork was just a symptom.